FRANKFURT, Germany, June 18 (AP) A stocky paratrooper chaplain from Fort Worth, Texas, who has married scores of Americans in Frankfurt, will be married Wednesday by transatlantic telephone. 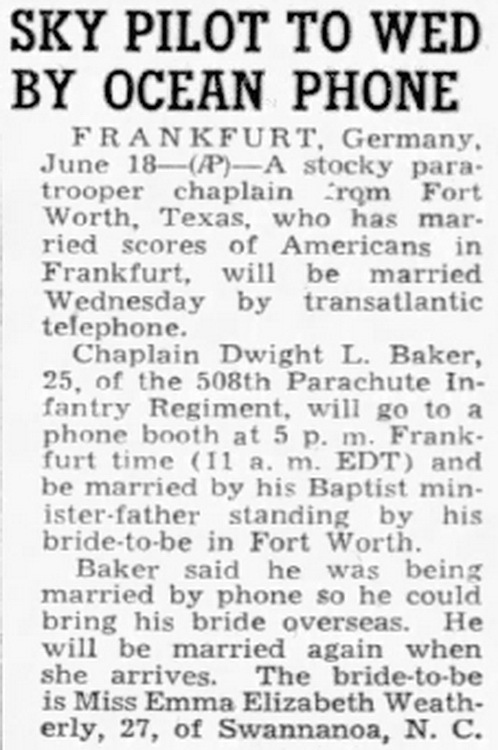 Chaplain Dwight L. Baker, 25, of the 508th Parachute Infantry Regiment, will go to a phone booth at 5 p. m. Frankfurt time (11 a. m. EDT) and be married by his Baptist minister-father standing by his bride-to-be in Fort Worth. Baker said he was being married by phone so he could bring his bride overseas. He will be married again when she arrives. 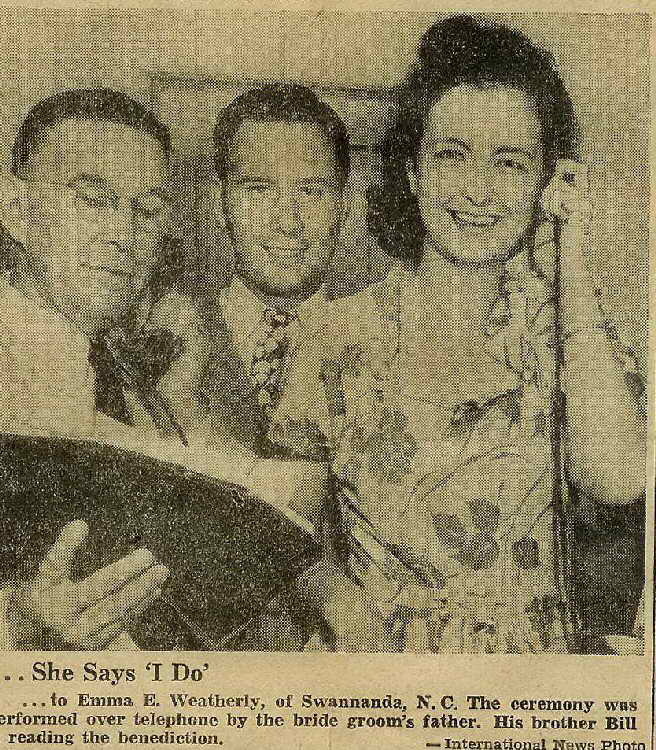 The bride-to-be is Miss Emma Elizabeth Weatherly, 27, of Swannanoa, N. C.